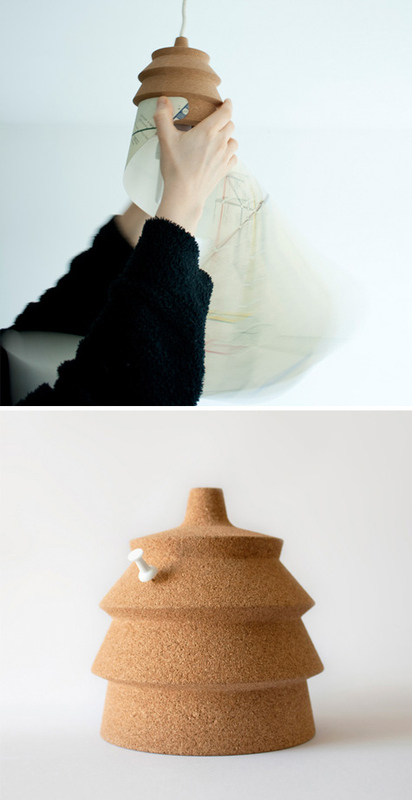 Pinha allows you to customize your lamp through the simple exchange of different sheets of paper. I love the cork texture! 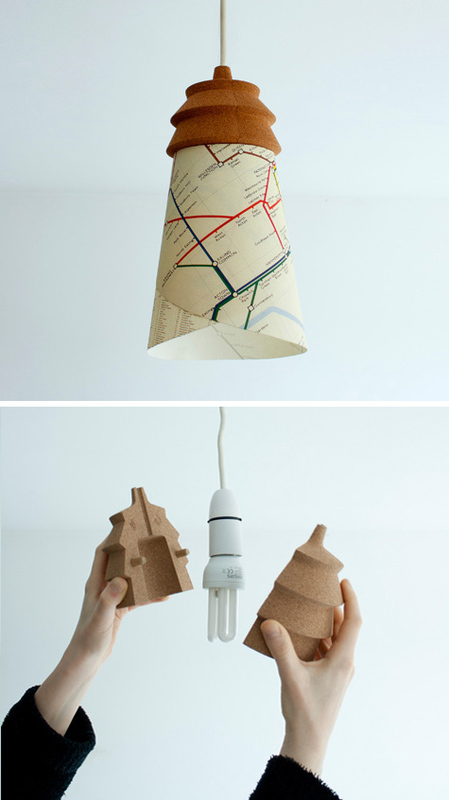 Designed by Raw Edges.